The holidays are a special time of year, filled with snowy days and family gatherings. But the most important, and sometimes most memorable, part of the holidays are enjoying meals with the ones you love. Roasted, seasonal vegetables and braised, melt-in-your-mouth proteins are what I look forward to each year, and for this holiday season, I wanted nothing less. It’s a tradition in my family to have a big Christmas Eve dinner where the entire family gets together and enjoys each others company over food and wine. And to make this year’s meal even more delicious, I decided to make a dish using locally sourced product. As a student in the Classic Culinary Arts plus Farm-to-Table program at ICC, I’ve learned the importance of knowing where your food comes from. I wanted to practice what I’ve learned in class about environmentally conscious cooking, and this holiday meal was the perfect opportunity to do it. I decided to start at a local farmers market in Cincinnati, OH, called FindlayMarket, the oldest continuously operated market in Ohio. Once there, I saw some incredible Brussels sprouts nestled next to other vegetables. In class, we learned the importance of asking suppliers where their product comes from, so I quickly learned that the sprouts came from a small farm near Columbus, OH. 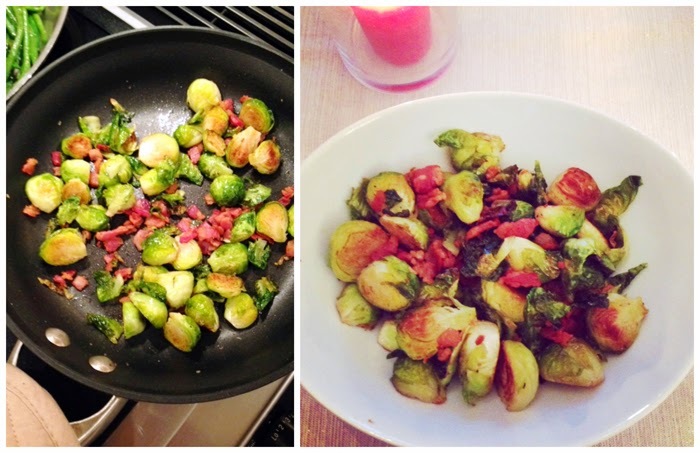 At this point, I knew I was going to make a roasted Brussels sprouts dish with bacon. The golden brown, tender sprouts and crispy, salty bacon pair perfectly together, and they would go great with short ribs and garlic potatoes, two other items we already planned on making. As my family got together on Christmas Eve, we talked for hours and filled our stomachs with great food. Everyone loved the idea of having a dish that a local farmer helped produce. This holiday season, I encourage everyone to explore neighborhood farmer and green markets. As well, try cooking with sustainable ingredients, along with some seasonal product to make a well-rounded meal that is great for you and the environment. In the end, I know your belly wont be disappointed. Click to learn more about ICC's Classic Culinary Arts plus Farm-to-Table program. Calling all culinary artists and emerging chefs from the International Culinary Center! 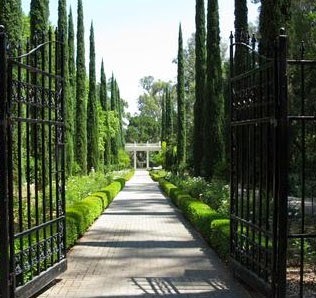 The Montalvo Arts Center and the Lucas Artists Residency Program is accepting applications for the highly coveted 2014 Culinary Fellowship in Saratoga, California. Awarded to a candidate with a strong interest in cooking, local and sustainable foods, menu/recipe development and community building, this six month fellowship includes modest room, board, health benefits, stipend and full access to resident garden and kitchen. Deadline is January 8, 2014. Montalvo Arts Center and the Lucas Artists Residency Program are currently accepting nominations and applications for the 2014 Culinary Fellowships. For 2014, Montalvo’s Lucas Artists Residency Program will host two selected Culinary Fellows for a six month Fellowship: March 3, 2014 – September 5, 2014; and September 1, 2014 to March 5, 2015. Deadline for applications is midnight January 8, 2014. Montalvo’s Sally and Don Lucas Artists Residency Program is an international, multidisciplinary artist residency that has supported the culinary arts through working Fellowships since 2004. Located in Saratoga, California in the heart of Silicon Valley, the Lucas Artists Residency Program is a vibrant and significant hub for the creative process. As part of the culinary arts program, inspired by a Slow Food philosophy, the Culinary Fellowship supports the selected culinary artists in the exploration, development and expansion of their craft. This highly coveted Fellowship is awarded annually to a culinary artist or emerging chef with a strong interest in cooking, procuring local and sustainable foods, menu and recipe development, and community building. The program is designed to support the culinary artist in building their repertoire, managing a community kitchen and budgeting to support it. Opportunities are made available to participate in Montalvo’s Culinary Programs through educational outreach, workshops, conversations and other pubic programming that help to build awareness of the culinary arts. The Culinary Fellow also has access to the resident kitchen garden, to cultivate and manage with volunteers as they choose. Plan and prepare of evening meals Monday-Thursday and Friday Lunch for the resident artists and invited guests. Typically these meals are between 10-15 people. Plan and prepare a monthly Director’s Dinner, for the purpose of donor cultivations and introduction to the residency program at Montalvo. Typically these dinners serve between 20-30 people. Commit to using sound ecological and fiscal principles to guide the sourcing and procuring of all produce, dairy poultry, fish and meats. Maintain and develop relationships with local farmers and producers. A six month Fellowship in the Lucas Artists Residency Program joining a host of international, multidisciplinary Fellows both emerging and established. A modest living stipend, health benefits, room and board. Creative freedom with all meals, considering only dietary restrictions of artists and visitors. The residency commons kitchen as a studio, and creative work space for the duration of Fellowship. Kitchen support when over 13 in attendance at a meal. Organizational support to develop and present public programs that highlight the culinary arts. The Culinary Fellow is welcome to host guests with the approval of the Residency Director. Should you wish to nominate a culinary artist whom you feel will develop in grow in this type of a Fellowship, please contact us directly with the name, contact information and three reasons you feel this person deserves this opportunity at this time; or simply pass along this call for application and allow the artist to contact us directly. Again, the application deadline is midnight, January 10, 2014. Once applications have been received from the interested artists, interviews and demonstration meals will be scheduled with a jury for the final selection. Interested applicants please submit a letter of interest, your resume and three sample menus along with any additional, pertinent information via email to lwalters@montalvoarts.org or mail to Lauren Walters, Residency Assistant and Artist Liaison, 15400 Montalvo Road, Saratoga, CA, 95070.. For more information, please contact Kelly Sicat, Director of Programs, at ksicat@montalvoarts.org or Lauren Walters at lwalters@montalvoarts.org or (408) 961-5813. The International Culinary Center's webinar series on culinary careers and entrepreneurship continues with a look at how the experience you create for restaurant guests can be your greatest marketing asset. Before you run glossy print ads or optimize your social media accounts, there’s a more fundamental type of marketing your business cannot afford to overlook. In this webinar, Irene Hamburger, Vice President of Blue Hill and Blue Hill at Stone Barns, covers “four walls marketing” – the process of reaching your customers while they’re inside your restaurant or culinary business. Learn how your employees, menus, events, and other experiential elements can help turn your customers into enthusiastic ambassadors for your business. Want more expert advice in running a restaurant? Enroll in the International Culinary Center’s Restaurant Management class now. Watch your email for links to register for upcoming webinars. In 2007, Liz Button was running a charter aviation company in New Jersey and her daughter Katie was headed to Sweden to complete a Ph.D. in Chemistry. Today, they are the proud owners of one of North Carolina’s hottest restaurants, Cúrate Bar de Tapas in Asheville. Katie, it seems, was also blown away. At Café Atlántico, not only did she discover a passion for restaurants, she met her future husband, veteran manager, Félix Meana. A native of Roses, Spain—home to Ferran Adrià’s famed elBulli—Félix worked at the legendary restaurant for five years prior to joining Café Atlántico. Before long the couple returned to elBulli, where Katie completed a highly coveted seven-month stage in the kitchen. Indeed it is. This month Katie and Félix were awarded the 2013 Rising Chefs Award for Sustainablity from StarChefs.com and the family has plans to open a nightclub with a Spanish take on American bar food in downtown Asheville. Continued success! Learn more about ICC's once-a-year Restaurant Management Course at our December 16th Open House. Classes run from late January through May and alumni get up to a 15% discount. On a passionate mission to put Brazilian cuisine on the map, Chef Leticia Moreinos Schwartz has published her second cookbook, My Rio de Janeiro. A true Carioca (a person born and raised in Rio), Chef Leticia takes readers through the many neighborhoods of Rio with beautiful photography and authentic recipes such as Risole De Camarão com Catupiry (Shrimp and Catupiry Turnover); Farfale with Salmon and CaipirinhaSauce and Molten Brigadeiro Cake. A 1997 graduate of the International Culinary Center's Classic Culinary Arts and Classic Pastry Arts programs, Chef Leticia has worked in some of NYC's best kitchens including Le Cirque 2000, La Grenouille and La Caravalle. 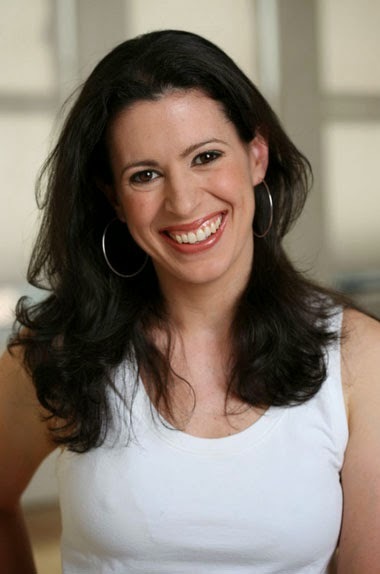 Featured in the The New York Times, Saveur and The Daily Meal, she now runs ChefLeticia.com, a boutique culinary company offering a range of services from food writing, recipe development and food styling. Despite several offers, Joiner stayed on as executive sous for four years to perfect his craft. It was time well spent. Not only did he build a lasting relationship with Front of House manager Trevor Lane, he was also able to recruit friend and chef Joe Bixel as a fellow sous. 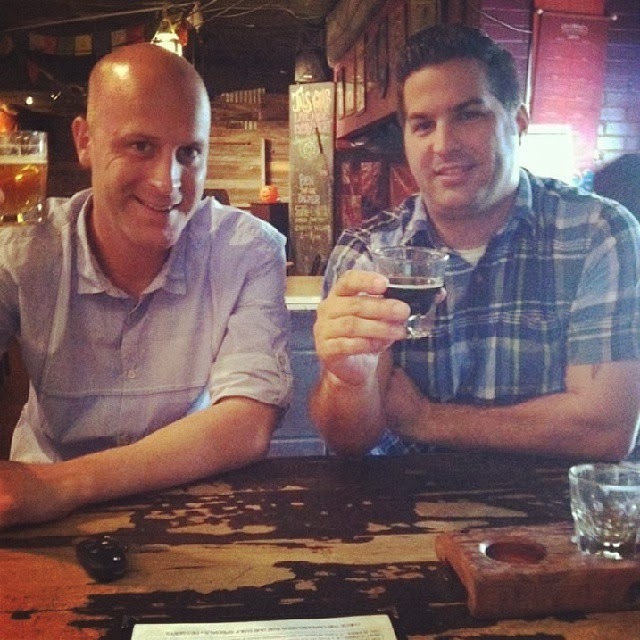 Sharing a love of home brewed beer and a passion for food, the three got along famously and laughed themselves into the sobering business of starting a restaurant. The Porter Ale House and Gastropub is slated to open in just a few weeks and Joiner can’t wait to be part of the scene, “Austin is blowing up, but there is a lot that still doesn’t exist here and that’s where we fit in.” Clear about their niche, Porter seeks to be "comfortable, hospitable and welcoming to folks who love food but want no pretention.” The menu’s new twist on classic American fare includes “everything from braised oxtail fritters to the best burger in town" with an extensive on tap selection that features 30 beers, wines, house cocktails and root beer.